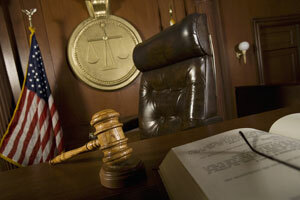 A legal fight over expert witness qualifications in Florida is going to the state Supreme Court for a final decision. Since 2013, businesses, legislators, and attorneys have engaged in a dispute over what the appropriate legal standard for expert witness qualification should be, and the Florida Supreme Court has finally agreed to rule on the issue and hear arguments in early September. In 2013 the Florida legislature passed a bill which elevated the standard used to evaluate expert witness qualifications from the Frye test to the Daubert test. Unlike the Frye test, which allows an expert to testify if his experience and content of his testimony are accepted by his professional field, the Daubert test for expert witnesses requires judges to thoroughly evaluate the testimony to make sure it is relevant to the trial and valid. Under the Daubert standard, trial judges must determine if the testimony is based on adequate facts or data, has been generated from reliable research principles and methods, and is the result of a proper application of the research principles and methods used. While judges still look to accepted practices of the expert’s professional field for guidance, the Daubert standard requires more careful evaluation of testimony before it is admissible. The stricter Daubert test is used by the Federal judiciary and a majority of the states, but Florida has held onto the lessor Frye test, largely with the support of plaintiff attorneys and judges who prefer an expert witness standard which favors admissibility. In 2013, however, members of the business community and a coalition of defense attorneys were able to convince the Florida legislature that the Frye test exposes trials to “junk science” and unqualified expert witnesses because it is not restrictive enough, and as a result the lawmakers legislatively imposed the Daubert standard on all judicial proceedings in the state. The move has not come without controversy, and over the last 3 years since it passed judges and plaintiffs’ attorneys have consistently rejected its implementation, culminating earlier this year in a recommendation from the Florida Bar Board of Governors that the state Supreme Court dismiss the law and retain the Frye standard for admissibility of expert witness testimony. Opponents of the Daubert standard argue that it unfairly restricts the expert witnesses that plaintiffs are allowed to call by placing unnecessary restrictions on admissibility. Plaintiffs’ attorneys argue that increased standards on expert witness admissibility only serves to drive up the cost of litigation which will make filing and pursuing lawsuits prohibitively expensive for some clients. Frye test proponents argue that a simpler test for expert witness qualification provides greater access to the legal system by not eliminating potential claims based on the financial resources of litigants. Beyond ideological opposition to the Daubert standard, opponents of the 2013 Florida law argue the legislature does not have the authority to establish judicial rules of evidence. In a report released in March of this year, the Florida Bar Board of Governors formally recommended that the judiciary reject the 2013 law because it overstepped the separation of powers between the judicial and legislative branches of Florida government. According to opponents of the 2013 law, the legislature does not have the authority to tell the judiciary what the required standard for expert witness admissibility is, and the Supreme Court should therefore dismiss the law and continue with the traditional Frye test which Florida courts have used for years. Earlier this month, the Florida Supreme Court agreed to settle the debate about the state’s expert witness admissibility standard by issuing a final legal ruling. Supporters of the 2013 legislation argue that the people of Florida, through their elected representatives, have expressed the desire to increase the standard for expert witness testimony in order to keep “junk science” and frivolous experts away from litigation. Opponents of the law maintain that the legislative body does not have the authority to determine expert witness admissibility standards. The case has gained significant attention across the state with several businesses and lawyers filing comments with the Florida Supreme Court in an effort to tilt the scales. The central question in the dispute – whether the legislature has authority to define rules of evidence – is an interesting legal battle between state judicial and legislative branches which will impact the way in which expert witnesses can be used in Florida. It will be interesting to see what the final decision is come September. The issue of expert witnesses is one that each state needs to address and quickly. Expert witnesses are supposed to be authorities on particular matters yet the opposing side will always question their ability/experience/knowledge. I have had associations with them in the past (through http://www.witness.net) and found theirs to be excellent; however, hiring expert witnesses can prove costly if you choose the wrong one.